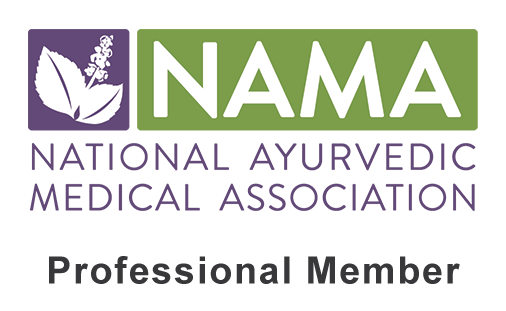 Naturopathic & Ayurvedic Medicine: Blending the two, that’s what I do! The goal of SpiraVita Natural Health is to offer a variety of services tailored to each individual no matter what your health needs and goals may be. Through consultation, assessment, education and a variety of treatments, together, we can help you find more balance, vigor and harmony in your life! Naturopathic Medicine: also known as “Naturopathy”, is a type of primary care that emphasizes prevention and honors the body’s innate ability to heal itself. Naturopathic doctors are trained in Western Medical diagnosis and treatment along with nutrition, herbal medicine, Homeopathy, physical medicine, and counseling. I am willing to be the bridge between you and your primary care doctor and specialists. Bring your blood tests, imaging and pharmaceuticals to your visit with me. I can help educate and support you in understanding both sides. Collaborating with your other doctors is key to your recovery and continued well-being. Ayurvedic Medicine: translates to the “science of life” medicine. The basis of Ayurveda is nature and the inseparable relationship we have with one another. Each person has a unique blend of qualities, called doshas, and these elements are all found in nature. It is my job to first determine what imbalances may be present using pulse diagnosis, questioning and physical exam. Then, I can offer various techniques to bring more balance into your life. Some examples are pranayama (breath techniques), nutritional modifications, daily routine recommendations and herbal medicine. Ayurveda is about harmony with nature as well as harmony of your mind, body and spirit. *The price of supplements or therapeutic substances that may be recommended are not included in the price of the office visit. What to expect during your appointments: The initial office visit is a time for you to express what your goals are regarding your health and a time for me to understand your health history and other pertinent information so that I may best serve your health needs. Then, together we will come up with a treatment plan for improving your life. Return office visits will be a blend of treatment and discussion. I highly encourage your input!